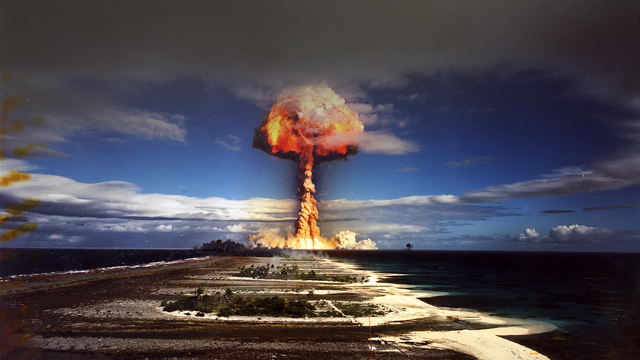 France tests its first hydrogen bomb, code named Canopus, at the Fangataufa atoll. The device was suspended from a large hydrogen filled balloon and produced a 2.6 megaton yield at an altitude of 1800 feet. As a result of the successful detonation, France became the 5th thermonuclear nation.